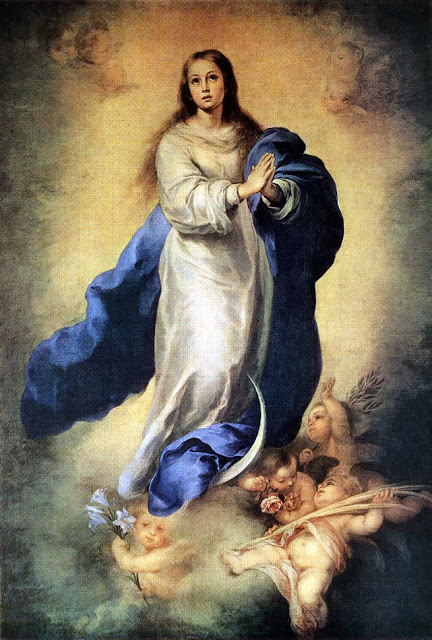 “The Blessed Virgin Mary . . .” The subject of this immunity from original sin is the person of Mary at the moment of the creation of her soul and its infusion into her body. “. . .in the first instance of her conception . . .” The term conception does not mean the active or generative conception by her parents. Her body was formed in the womb of the mother, and the father had the usual share in its formation. The question does not concern the immaculateness of the generative activity of her parents. Neither does it concern the passive conception absolutely and simply (conceptio seminis carnis, inchoata), which, according to the order of nature, precedes the infusion of the rational soul. The person is truly conceived when the soul is created and infused into the body. 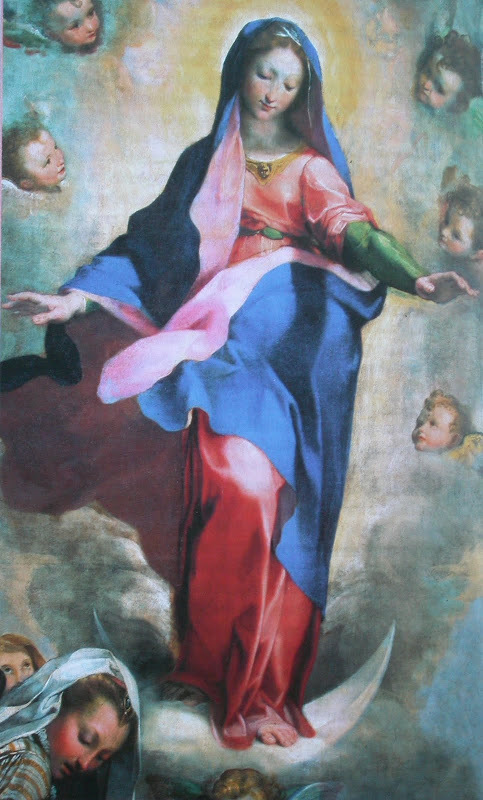 Mary was preserved exempt from all stain of original sin at the first moment of her animation, and sanctifying grace was given to her before sin could have taken effect in her soul. “. . .was preserved exempt from all stain of original sin. . .” The formal active essence of original sin was not removed from her soul, as it is removed from others by baptism; it was excluded, it never was in her soul. Simultaneously with the exclusion of sin. The state of original sanctity, innocence, and justice, as opposed to original sin, was conferred upon her, by which gift every stain and fault, all depraved emotions, passions, and debilities, essentially pertaining to original sin, were excluded. But she was not made exempt from the temporal penalties of Adam — from sorrow, bodily infirmities, and death. “. . .by a singular privilege and grace granted by God, in view of the merits of Jesus Christ, the Saviour of the human race.” The immunity from original sin was given to Mary by a singular exemption from a universal law through the same merits of Christ, by which other men are cleansed from sin by baptism. 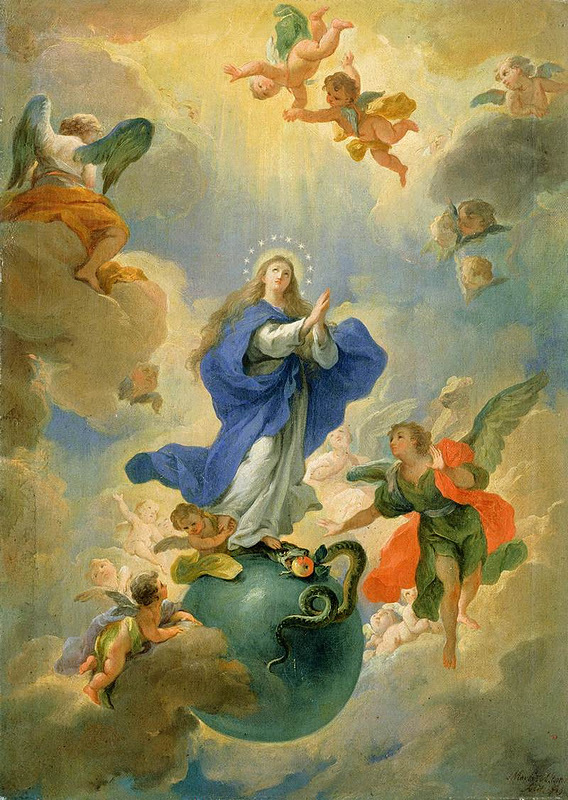 Mary needed the redeeming Saviour to obtain this exemption, and to be delivered from the universal necessity and debt (debitum) of being subject to original sin. 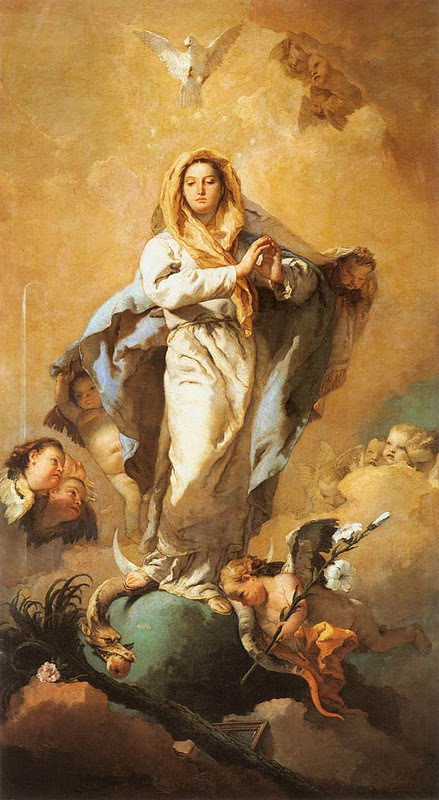 The person of Mary, in consequence of her origin from Adam, should have been subject to sin, but, being the new Eve who was to be the mother of the new Adam, she was, by the eternal counsel of God and by the merits of Christ, withdrawn from the general law of original sin. Her redemption was the very masterpiece of Christ’s redeeming wisdom. He is a greater redeemer who pays the debt that it may not be incurred than he who pays after it has fallen on the debtor. No direct or categorical and stringent proof of the dogma can be brought forward from Scripture. But the first scriptural passage which contains the promise of the redemption, mentions also the Mother of the Redeemer. 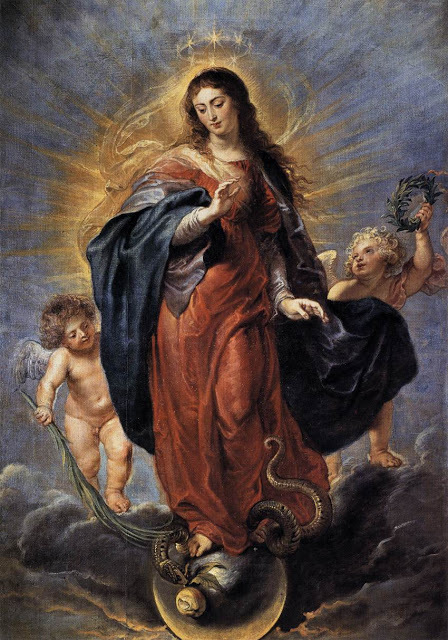 The sentence against the first parents was accompanied by the Earliest Gospel (Proto-evangelium), which put enmity between the serpent and the woman: “and I will put enmity between thee and the woman and her seed; she (he) shall crush thy head and thou shalt lie in wait for her (his) heel” (Genesis 3:15). The translation “she” of the Vulgate is interpretative; it originated after the fourth century, and cannot be defended critically. The conqueror from the seed of the woman, who should crush the serpent’s head, is Christ; the woman at enmity with the serpent is Mary. God puts enmity between her and Satan in the same manner and measure, as there is enmity between Christ and the seed of the serpent. Mary was ever to be in that exalted state of soul which the serpent had destroyed in man, i.e. in sanctifying grace. Only the continual union of Mary with grace explains sufficiently the enmity between her and Satan. The Proto-evangelium, therefore, in the original text contains a direct promise of the Redeemer, and in conjunction therewith the manifestation of the masterpiece of His Redemption, the perfect preservation of His virginal Mother from original sin. From the texts Proverbs 8 and Ecclesiasticus 24 (which exalt the Wisdom of God and which in the liturgy are applied to Mary, the most beautiful work of God’s Wisdom), or from the Canticle of Canticles (4:7, “Thou art all fair, O my love, and there is not a spot in thee”), no theological conclusion can be drawn. 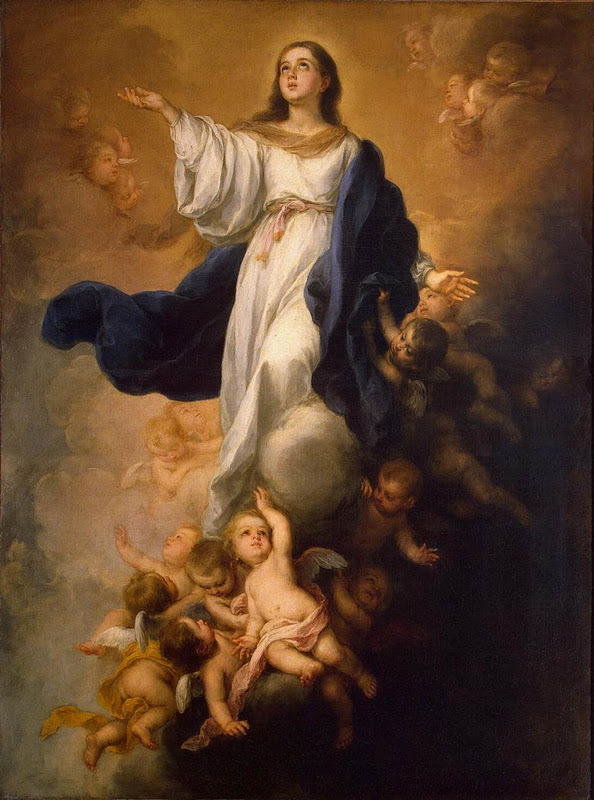 These passages, applied to the Mother of God, may be readily understood by those who know the privilege of Mary, but do not avail to prove the doctrine dogmatically, and are therefore omitted from the Constitution “Ineffabilis Deus”. For the theologian it is a matter of conscience not to take an extreme position by applying to a creature texts which might imply the prerogatives of God. Patristic writings on Mary’s purity abound. Theodotus of Ancyra terms her a virgin innocent, without spot, void of culpability, holy in body and in soul, a lily springing among thorns, untaught the ills of Eve nor was there any communion in her of light with darkness, and, when not yet born, she was consecrated to God (“Orat. in S. Dei Genitr.”). In refuting Pelagius St. Augustine declares that all the just have truly known of sin “except the Holy Virgin Mary, of whom, for the honour of the Lord, I will have no question whatever where sin is concerned” (De naturâ et gratiâ 36). 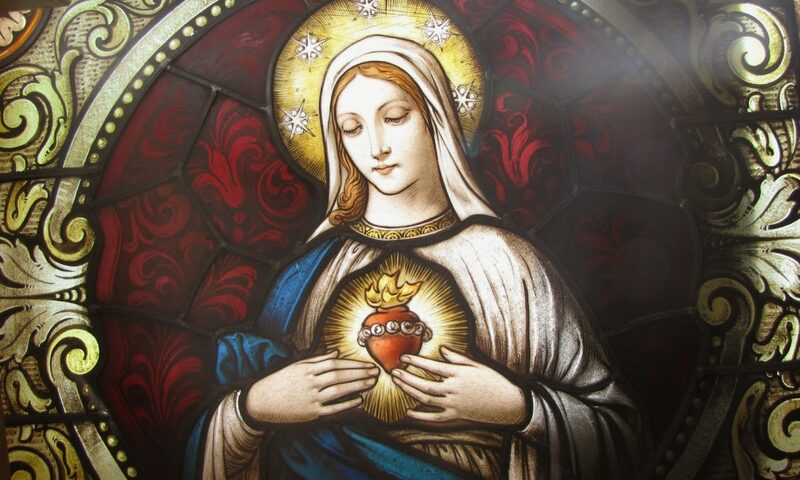 when the Virgin Mother of God was to be born of Anne, nature did not dare to anticipate the germ of grace, but remained devoid of fruit (John Damascene, “Hom. i in B. V. Nativ.”, ii). The Syrian Fathers never tire of extolling the sinlessness of Mary. St. Ephraem considers no terms of eulogy too high to describe the excellence of Mary’s grace and sanctity: “Most holy Lady, Mother of God, alone most pure in soul and body, alone exceeding all perfection of purity …., alone made in thy entirety the home of all the graces of the Most Holy Spirit, and hence exceeding beyond all compare even the angelic virtues in purity and sanctity of soul and body . . . . my Lady most holy, all-pure, all-immaculate, all-stainless, all-undefiled, all-incorrupt, all-inviolate spotless robe of Him Who clothes Himself with light as with a garment . … flower unfading, purple woven by God, alone most immaculate” (“Precationes ad Deiparam” in Opp. Graec. Lat., III, 524-37). To St. Ephraem she was as innocent as Eve before her fall, a virgin most estranged from every stain of sin, more holy than the Seraphim, the sealed fountain of the Holy Ghost, the pure seed of God, ever in body and in mind intact and immaculate (“Carmina Nisibena”). 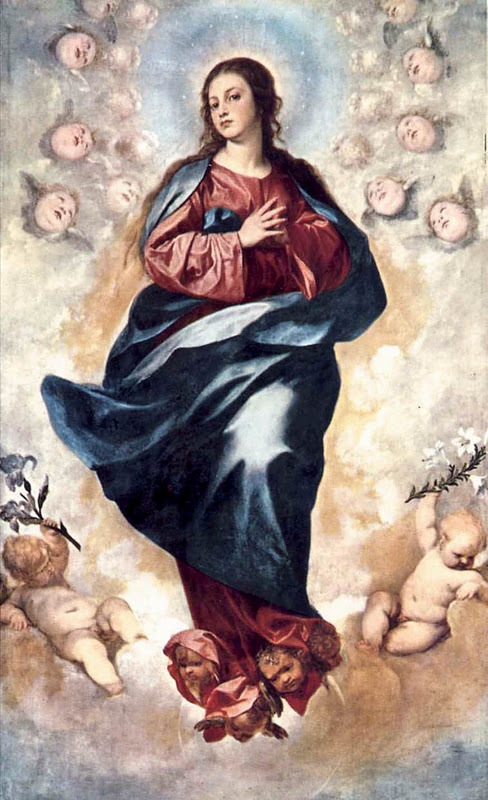 Jacob of Sarug says that “the very fact that God has elected her proves that none was ever holier than Mary; if any stain had disfigured her soul, if any other virgin had been purer and holier, God would have selected her and rejected Mary”. It seems, however, that Jacob of Sarug, if he had any clear idea of the doctrine of sin, held that Mary was perfectly pure from original sin (“the sentence against Adam and Eve”) at the Annunciation. 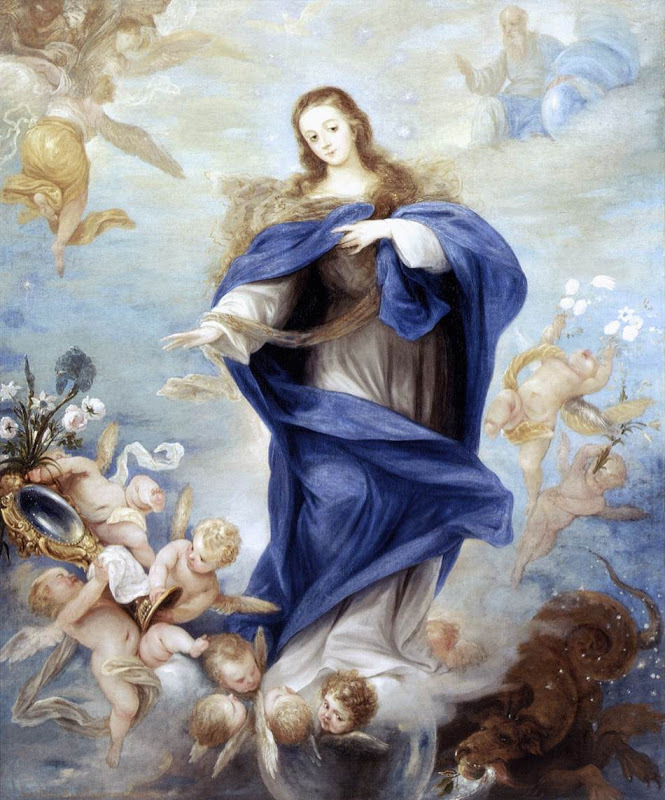 Oh Virgin of virgins Most Pure, pray for us who have recourse to Thee!